It’s been a good week. Sure I got sick on Monday, but overall…the weather seems to be warming up and I can feel the creativity juices itching to get out (or maybe that’s just my allergies…ha ha). This weekend we’re celebrating my husband’s aunt’s 50th birthday – Happy Birthday Teresa! 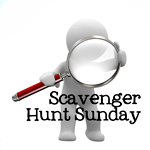 Anyways, it’s Scavenger Hunt Sunday. If you’ve been participating in the Scavenger Hunt each week (and last week 160 of you participated – WOW), I hope this week’s items inspired you. If you’re new to the Scavenger Hunt…WELCOME! 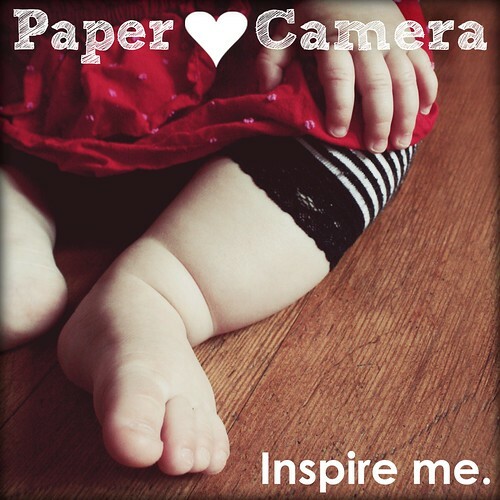 Next week’s items are sponsored by Exploring with a Camera, Paper Heart Camera, Bugaboo, Mini, Mr. and Me and They Call Me Mommy Rachelle. I actually have two diptychs to share with you today. The first is this cute shot of Dustyn from last Sunday. In case you were wondering what he’s doing…he’s trying to open the camera. Curious kiddos! This second diptych was a collaborative project I worked on with Anika Toro. If you don’t know Anika…rush over and see her immediately. She is a creative genius! We’ve actually been talking about collaborating on something like this for a few weeks. 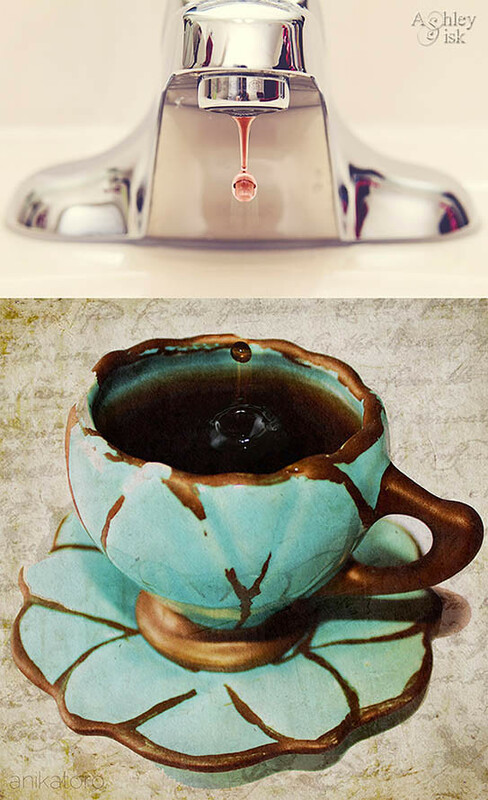 We call this “Tea for Two.” No – my faucet does not drip tea (thank you Photoshop). Last week, Elena suggested that for this Saturday’s (yesterday) portrait, we should try using one the Scavenger Hunt to create an idea-inspired self portrait. 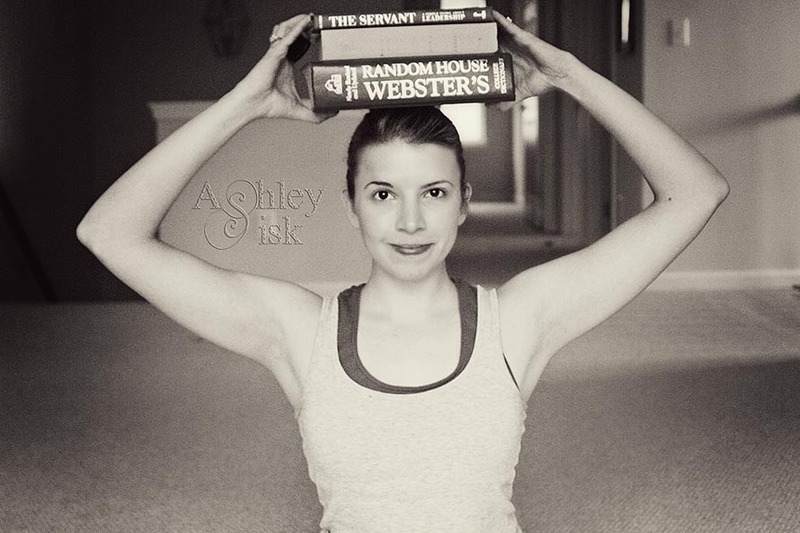 So, the other day, I came home from the gym and decided that I wanted to tackle “book” – selfie style. Although this photo is incredibly noisy (a result of coming home at 6 pm and my daylight fading fast), I kinda like it. Look at me…I’m smart and strong! 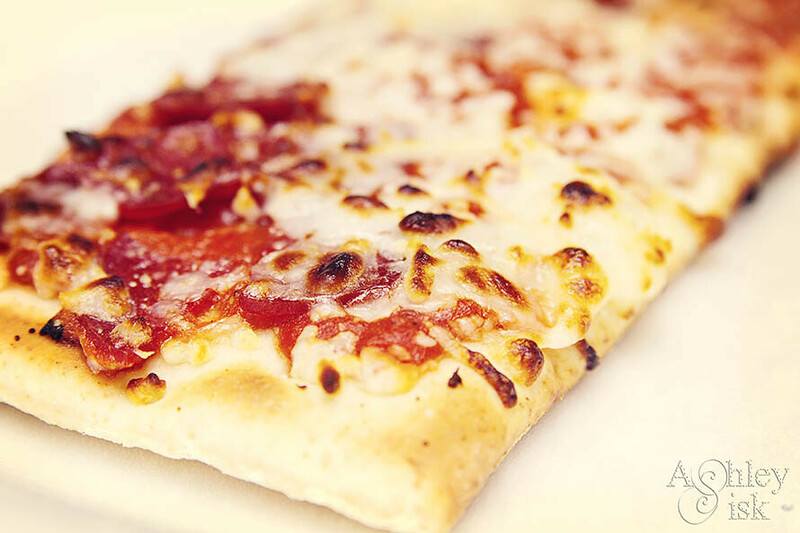 Italy is definitely one of those places that I’d love to visit one day…and since I had spaghetti last week with my friend Beth, I thought I’d have an individual pizza for lunch one day. Yeah…I know – lame. You all have seen various interpretations of my cheap Wal-mart day planner so I thought I’d try something a little different…and I’ve used this technique a few times before. In the event that you think whatever I’m doing is kinda neat and want to try it….start with a clean edit (I could say this until I’m blue in the face but you should always start with a clean edit before doing any creative editing). Merge any open layers and duplicate your background (ctrl+J). Go to Filter>Sketch>Photocopy (my settings: Detail 7, Darkness 8 – feel free to adjust those settings depending on the subject). Go back to your background layer and create a duplicate copy. 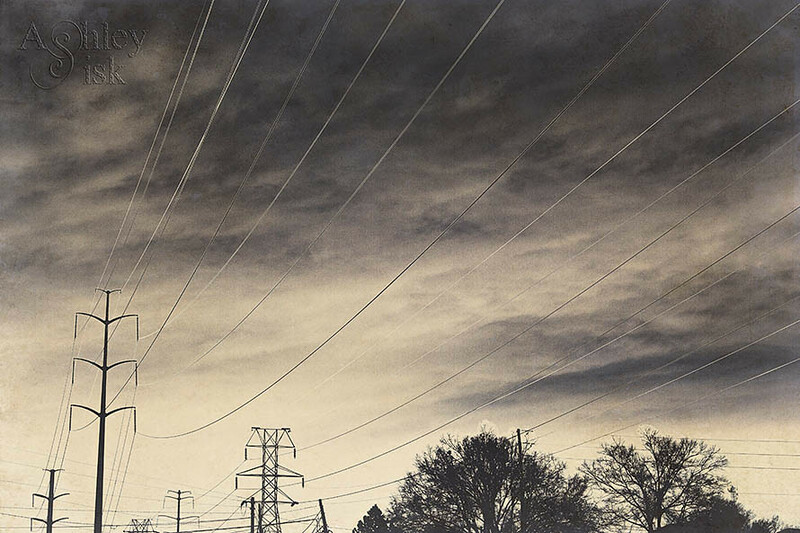 On that layer, set the blending mode to HARD LIGHT and drag that layer on top of your Photocopy layer. From there, experiment with your opacities, other blending mode layers and contrast. Pretty cool, huh?! Again, thank you to the Kat, Chelsey, Kimberly and Rachelle for so many great scavenger hunt items. If you’d like to contribute items to the list, just send me an email with your suggestions (I can better keep track of them this way…and we’ve got some great prompts coming up in future weeks). 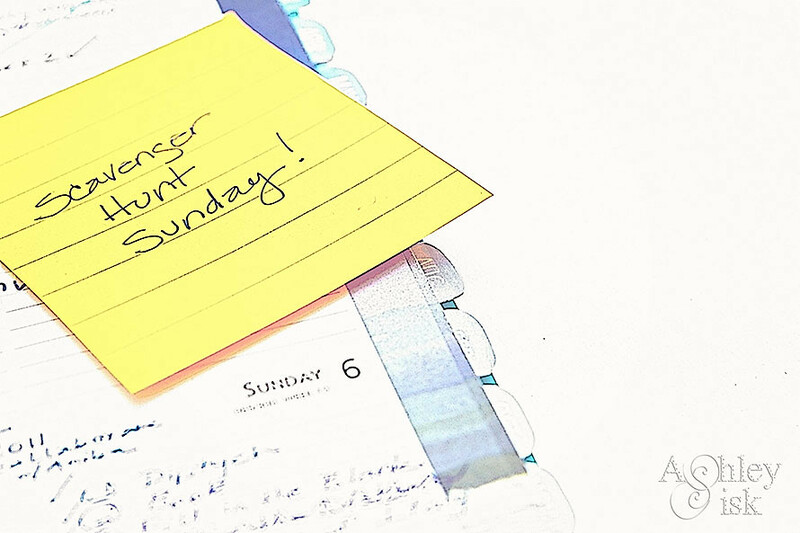 Each week, I will select one reader’s prompt list, add those items to what is currently on tap and give the selected reader a shout out on my blog during Scavenger Hunt Sunday. Be sure to come back tomorrow for Shoot and Edit: Part 1, Week 9. 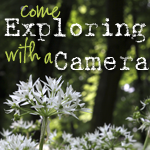 The prompt/theme is “SPRING!” Happy Shooting!